Retail $23.99 SAVE 20% ! Made of high quality rip stop nylon! Colorful panels durably stitched together. Action sport flying, power dives, and fast turns! 2 controls! Each with 150 feet of kite line. 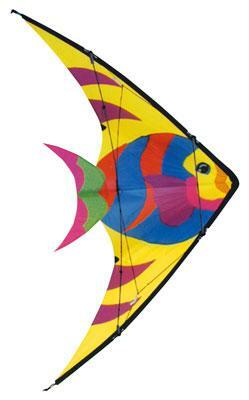 Kite colors may vary from picture.